This addon will mark junk items as junk. More options in future updates. It can also destroy your junk for you based on certain rules. Keep in mind that once destroyed it is gone so use this at your own risk. I've not had anyone using the destroy feature tell me that something went wrong but you have been warned. When considering the sell value, you can set it to use the price of an individual item [DEFAULT] or the price of the entire stack. And then will sell your junk upon visiting a vendor automatically. There are settings on how this is reported to you in chat. It will also periodically scan your bags for junk (enabled by default) in case, due to a crash or any other number of bugs in the game, it forgets that things were marked as junk. Most aspects of it are configurable so install it and enjoy! Most of this list was given to me in the comments section by choekstr. Thank you for the great list! Add a hotkey to junk stuff. Add item quality junking feature. Long term I may try to add the suggestion of: Create escalation based on the number of free slots but this is a long term goal and may never happen. As of v0.95 there are no 'known' issues. But there is a new super dangerous feature that you should use with extreme caution. I can't say that enough. Caeric - 1,000 gold! And again! Garkin - This addon was originally completely inspired by Garkin's Dustman addon. I used that addon for some time. I was having fun making addons so I figured I'd re-invent his addon and then I started adding my own features, but it still remains that Garkin's Dustman was the inspiration behind this addon. Iriel - For many things: Giving me the idea for the bag caching so I could track when an item was marked as junk by a user. Giving me the idea for icky food. choekstr - Giving me an amazing set of ideas to make this addon better for everyone else. Jcline9677 - For giving a similar idea to Iriel's idea that lead me to an idea that let me do stuff smarter than I was originally trying to do. The addon will automatically sell stolen items marked as junk at fence (if "Sell Junk Items Automatically" option is enabled). Fixed occasional ui error when entering the game having some junk items not marked as junk. Fixed UI exception when switching "Mark Worthless Weapons And Armor" option. New option in "Manage Junk Marking Settings" options menu called "Mark Worthless Weapons And Armor". When enabled all white quality weapons and armor worth 0 gold and without any trait will be marked as junk. NEW METHOD OF SELLING: This addon now has the option (default) to sell each junk item individually instead of calling ZOS' SellAllJunk() function which seems to sometimes lock up your game or crash it altogether. (Read with anger, frustration and disgust). There is an option in the Sell submenu that allows you to revert back to ZOS way of handling it. I have a feeling this will fix the problem. Thanks to CGT_400 for the suggestion. NEW FEATURE: Send your output messages to a different chat tab. NOTE(S): This does not affect the very first 'loaded' message you get. It will always be on the main chat tab. Any further messages will go to the specified tab. For now you have to type the name of the tab in the settings. I didn't make a dropdown or anything. I didn't test having spaces or special characters in the tab names so if it doesn't work, try something simple. If, somehow, it doesn't match EXACTLY, it will default back to sending the message to your current tab. Drop me a line on the author portal if you are having any issues with this new feature. Hefty changes in the backend code but all to make adding features even easier in the future. NEW FEATURE: When deciding if you will destroy based on price, you now have an option to base the price check on the individual unit price of an item [DEFAULT and original behavior] or on the price of the entire stack. NEW FEATURE: Added the ability to not destroy any stacks larger than X, where X is defined by a slider that goes from 1 - 50. This is enabled by default and set to 1. THIS BEHAVIOR IS DIFFERENT THAN 1.3 AND EARLIER, SO OLD-TIMERS WILL NEED TO ADJUST THEIR SETTINGS IF THEY WANT IT TO WORK THE OLD WAY. USERS: As always, please take great care in using the destroy options. ESPECIALLY new options as there is only so much testing I can do. Every scenario I could think of, I tested and it seemed to work as advertised but be careful anyway. :D Thanks for sticking with me! NEW FEATURE: A slider to let you control how long to wait before destroying an item. You have the choice between 1 second and 60 seconds. NEW FEATURE: A super crazy insane option to not notify you at all when it is destroying stuff. 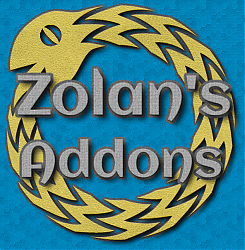 Zolan does NOT recommend using this feature but it has been requested strongly by some users so I have put it in. I understand that the addon spams the crap out of you but that is generally for your own good. This puts 100% faith that my addon will work flawlessly and though I have never had a problem and I'm very careful, bugs do happen... So you are warned. Mainly a version bump to 1.0 and a change to the way it prints your receipt upon selling junk. It actually doesn't change the output, but it makes it so that it won't conflict with my new auto repair addon. NEW FEATURE: Defaulted to off, it lets you set a slider from 1 to 10 and it will auto destroy junk that has a gold value of that number or lower. Cleaned up the addon menu quite a bit so it isn't so hideous. Fixed a small bug that was stripping the 'h' off of items that began with an 'h'. D'oh! Changed the way chat output works so it makes slightly less noise while still informing you of stuff. No matter what it will ALWAYS inform you if it is going to destroy something. It just combines 2 output lines into 1 when possible. Bug fix for what I 'think' was Qwynn's lua error. NEW FEATURE: Defaulted to off, it will destroy items marked as junk that have a 0 gold value. Read the full notes. This should be used with EXTREME caution. Once an item is destroyed, it is gone. Be absolutely sure you want to take a gamble that there are no bugs in my code. I will not be claiming that I am perfect. I did a HUGE rewrite and the code, though not slow before is much much much more optimized and organized. Adding new features should be a lot easier now. NEW FEATURE: Defaulted to off, it can now auto junk 'icky food' which are the Old, Stale, Congealed, Flat, etc items. Fixed a small bug that could cause the bag scan to falsely assume that an item was marked as junk by a user. Changed the way I track user junked items on the backend and made the change 'hopefully' seamless to the user. NEW FEATURE: Defaulted to off, it will now track when you manually mark something as junk and continue to automatically mark said things as junk until you unmark that item as junk. USE THIS WITH CAUTION. Tons of changes on the backend to support this new feature. NEW FEATURE: Defaulted to on, it will now periodically scan your backpacks for items that should be junk and are not and marks them as junk. This can happen when you've marked something as junk and then disconnect. When you get back, the item is no longer marked as junk and, prior to this feature, you would have to mark it as junk manually or sell it manually. Fixed a dumb bug that even if you set the addon settings to disable the addon, it still did whatever it wanted. It will now obey that option. NEW FEATURE: Added the ability to mark Ornate items as junk. 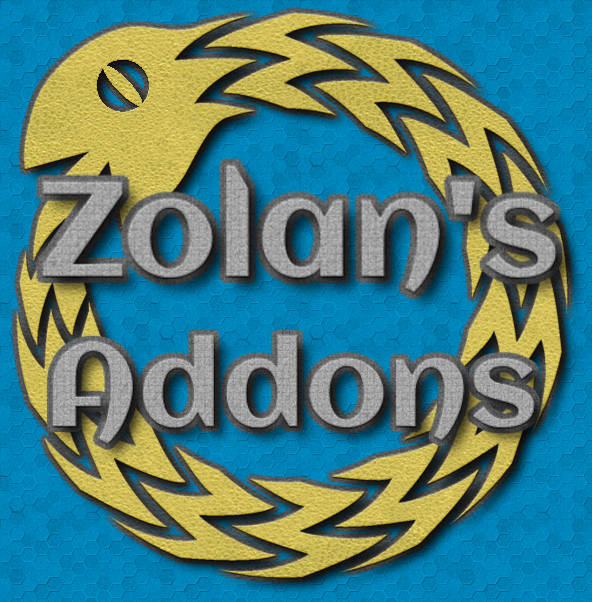 Fixed a huge dumb problem that cause this addon to only work when Zolan's Chat Notifications was also installed. This can now be independent. A LOT of backend changes. Any chance we could get account wide settings instead of per-character memory on junked items? Will there be an Update for Summerset? hey guys please can someone tell me, this addon can autojunk stolen furnishing materials? I wanna add to autojunk all white and green weapons/armors but not set items. if HasSet = false then - this is not set? ok.
Last edited by DarkT : 07/23/17 at 06:55 PM. Could you disable the loading message, please? Last edited by Bierdeife : 07/27/17 at 08:08 AM. Thank you very much for your work on this. I've just started using this addon and so far it's working pretty well. I did however notice a problem with the handling of stolen items. I activated the option for the addon to remember my manually marked items. I marked some stolen weapons as junk and the addon gave me a notification it's tracking that item. However, as soon as I picked up another one of the same item, it gave me the message "No Longer Tracking [item] As User Specified Junk" and now I can't even get it to retrack the item even if marking it as junk again. It would be great if you could fix that. Little nervous about giving this mod a try, would be wonderful to see a version that NEVER destroys or sells items and only marks things as junk so I can manually (but rapidly) sell items marked as junk. For me its not the selling that takes time but the sorting that i would like automated. I'd love to see an option to automatically mark cloudy poisons as junk. Any chance trash items which are also stolen could not be marked a junk? When I go on a stealing spre and then go back to sell to the fence, at the moment I also have to check trash items to see if there is stolen was put in there. Can this addon delete white weapons/armor? And delete items by keyword like "ta"? Some items are just not needed. hey, i have an idea, what would be nice if you ad this, your mod sells automaticly junk to vendors, but not the stolen stuff, even not the stolen stuff i marked as junk, cold you add the option to automaticly sell junked stolen items to a receiver??? Looks like some addon compatibility issue. Can you find out which addon is causing it? I get this error on login. Any idea what it is? Since the Nov. 2 update I have noticed an issue where the item name in the chat text is showing up as  rather than as the name of the item that is being junk filtered. It does seem to match the color (white  for white items, green  for green items, etc.) This appears to happen both when the item is added to junk and when it is sold. Thanks for the junk filter addon update to support the Orsinium update. I initially thought that it may be an interaction with other addons I am using, so I waited until most of them had updated. Still having the issue so I thought I would report it just in case you had time to check into it.